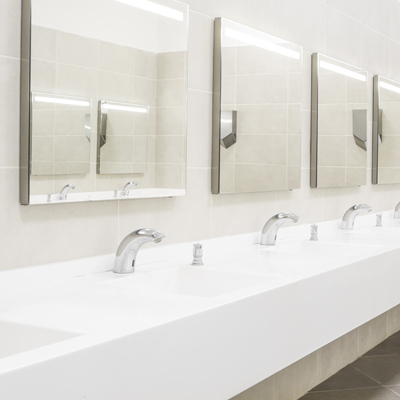 We offer many plumbing installations for commercial plumbing projects. With more than 40 years in the plumbing business, we have seen it all and can handle it all! Keeping your plumbing fixtures up-to-date will help prevent problems down the road. Why wait until something goes wrong? Fixtures include things like sinks, faucets and shut-off valves. While many of these can seem the same, there are differences you may not know about. For example, when it comes to faucet design, you’ll see the same four mechanisms: ceramic disk, ball, cartridge, and compression. Each of these refer to the way water flow is managed inside the faucet, and each is better suited for different applications. Because we really listen to our customer’s needs, we can advise you on the best fixture repair approach or best fixture to install based on your needs and preferences. Let an Alvarez skilled technician take care of the heavy lifting for you.